Endoscopic Diagnosis of Esophageal Achalasia lacking typical endoscopic features can be extremely difficult. The aim of this study was to identify simple and reliable early indicator of esophageal achalasia. This single-center retrospective study included 56 cases of esophageal achalasia without previous treatment. As a control, 60 non-achalasia subjects including reflux esophagitis and superficial esophageal cancer were also included in this study. Endoscopic findings were evaluated according to Descriptive Rules for Achalasia of the Esophagus as follows: (1) esophageal dilatation, (2) abnormal retention of liquid and/or food, (3) whitish change of the mucosal surface, (4) functional stenosis of the esophago-gastric junction, and (5) abnormal contraction. Additionally, the presence of the longitudinal superficial wrinkles of esophageal mucosa, “pinstripe pattern (PSP)” was evaluated endoscopically. Then, inter-observer diagnostic agreement was assessed for each finding. The prevalence rates of the above-mentioned findings (1–5) were 41.1%, 41.1%, 16.1%, 94.6%, and 43.9%, respectively. PSP was observed in 60.7% of achalasia, while none of the control showed positivity for PSP. PSP was observed in 26 (62.5%) of 35 cases with shorter history < 10 years, which usually lacks typical findings such as severe esophageal dilation and tortuosity. Inter-observer agreement level was substantial for food/liquid remnant (k = 0.6861) and PSP (k = 0.6098), and was fair for abnormal contraction and white change. 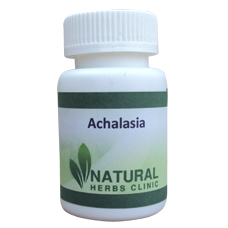 The accuracy, sensitivity, and specificity for achalasia were 83.8%, 64.7%, and 100%, respectively. “Pinstripe pattern” could be a reliable indicator for early discrimination of primary esophageal achalasia.